at corner of recreation ground. Latin cross on tapering shaft, plinth and two steps. Further steps lead up to the base. 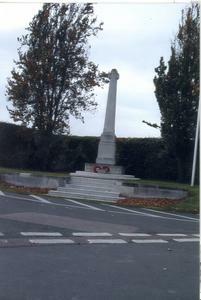 Ashwell Parish Council maintains the memorial in partnership with the local branch of the Royal British Legion.